TORONTO- October 19, 2017 – After a successful debut in Toronto and Atlantic Canada, HelpMeOrder announced today the launch of their new website. The new HelpMeOrder website highlights the top 100 dishes in Toronto and St. John’s according to users of the app. The website features the top dishes in those cities overall as well as top menu items by type such as Pizza, Burger or Chicken, etc. you the top dishes.” said Peter Francis, co-founder of HelpMeOrder. “Unlike other websites like TripAdvisor or Yelp that show you the top restaurants in those cities, our website will show you the top dishes so you actually know what to order”. 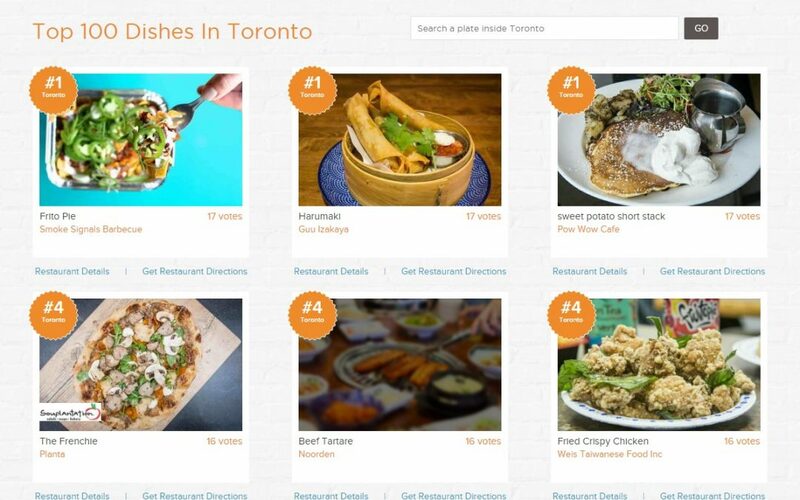 If you happen to be in Toronto or St. John’s and want suggestions on what to eat go to https://helpmeorder.com to view the top dishes in each of these cities. If you are in the mood for a particular type of dish, you can filter by type. Finally, if you happen to come across a dish that you want to try in the future you can use the HelpMeOrder app to set it as GottaTry or from the website share it on social media to remind a friend to take you there. HelpMeOrder soft launched last summer in St. John’s and has already gained traction with the foodie community. The app boasts more than 250,000 dishes in restaurants across Canada and the United States. HelpMeOrder was started by childhood friends and Mississauga residents Mina Michail and Peter Francis. The two engineering graduates started the venture in 2014 shortly after Francis had moved to St. John’s, NL. The company is a graduate of the Propel ICT startup accelerator and is a portfolio client of the Genesis Centre business incubator. With offices in St. John’s and Mississauga, HelpMeOrder is Canada’s first consumer based app targeting the ever expanding foodie market. Peter is an entrepreneur, engineer, husband, father, blogger, and wannabe food critic.